This entry was posted on September 9, 2012 by FS Photography. 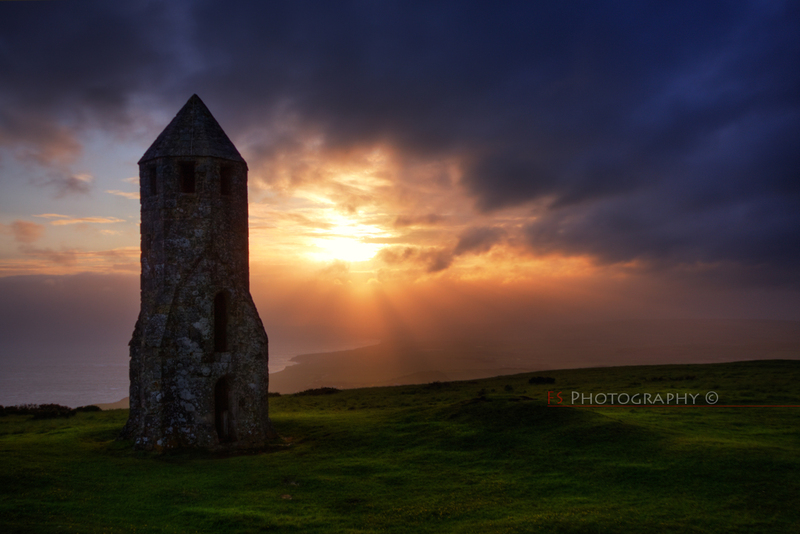 It was filed under Architecture, HDR, Landscape, Nature, Photography, Summer, Sunset, UK and was tagged with FS Photography, Funky Slug, Isle of Wight, Pepperpot, St Catherine's Oratory, Sunset. That’s an interesting looking lighthouse, can you go inside / climb up into the tower? F.S… putting the LIGHT in lighthouse shots… brilliant! 1328 you say? Wow… that actually makes me feel… young! Almost. Of course I’m not so sure I’d be saying that had I been the one braving the 45 degree inclines and 82 mph winds! Beautiful… If only you didn’t reveal the truth about the rest of the area… Still, gorgeous colors. A great composition with fine colors of blue and green framing the sunlight.